Sometimes in Canada we have a tendency to see ourselves as exceptional when it comes to our model of multiculturalism and diversity. Yet societies throughout the world have found ways to handle diversity for centuries. In late June, I spent a week travelling along the Black Sea Coast, visiting Romania and Bulgaria. I was fortunate to have a private guide in the town of Constanța, Romania. Ionut is a 36 year old teacher by training, but like so many in Eastern Europe, he takes on additional work to make ends meet. When Ionut discovered that I am from Canada, he immediately commented that he wanted to introduce me to the religious diversity that is at the centre of his hometown. Within a mere 400 metres of each other, Constanța boasts three historic places of worship, each of which is open to visitors. 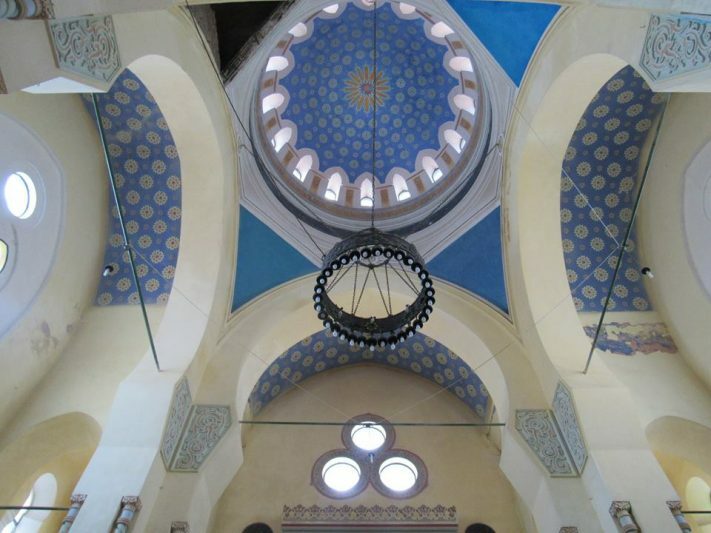 We first visited the Grand Mosque of Constanța (originally named after Carol I, King of Romania), dating back to 1910. It is built in an eclectic style, combining elements of Neo-Byzantine, Moorish and Neo-Romanesque style. Romania had been under Ottoman rule for hundreds of years and Constanța to this day is home to a Turkish minority numbering nearly 7,000. Travelling through the Dobrogea region, you will see a minaret piercing the sky in nearly every village, yet Ionut emphasized that there really was not much tension to speak of between the Turkish Muslim minority and the Christian Romanian majority. Those of Turkish origins seem well-integrated, and indeed while leaving the Great Mosque, Ionut pointed to a group of men who were speaking Romanian amongst each other, but with Turkish words generously sprinkled in. It was after climbing the narrow, circular steps of the 47-meter high minaret that we got a breathtaking view of the old city, as well as the rich blue waters of the Black Sea. 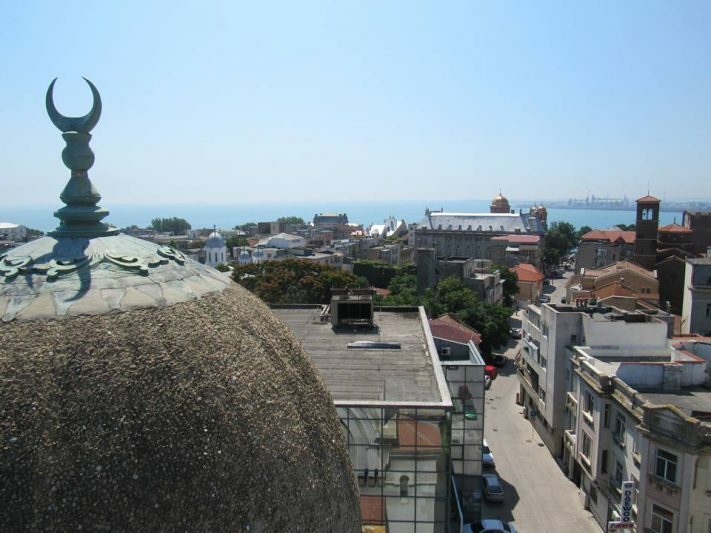 The view from the Great Mosque — also called the Carol I mosque — of Constanța and the Black Sea. Photo: Christopher Adam. After exploring the Grand Mosque, Ionut took me to the place of worship of another religious minority, namely the Roman Catholics. The Church of Saint Anthony of Padua is steps away from the mosque and was built in the thirties. 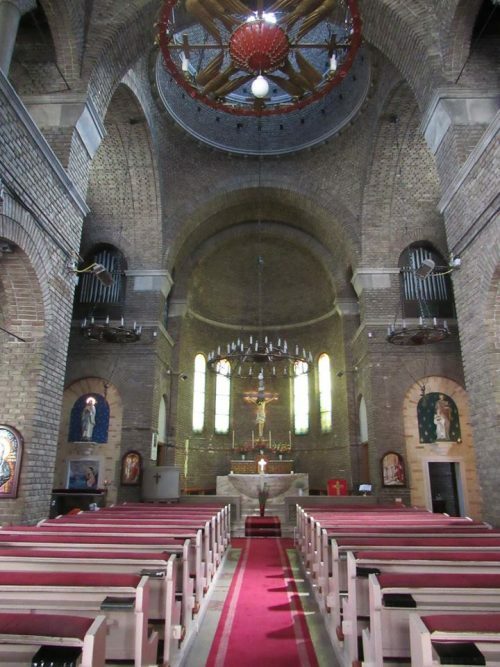 Constructed in the Romanesque style, using red brick and architectural style more common in northern Italy, the church fell victim to the tumultuous history of the region, becoming a Soviet ammunition depot during World War II. During the communist period, authorities banned religious service here. On that scorching June day, the church’s cool and dark interior was a welcome relief, as a solitary volunteer quietly dusted pews inside. St. Anthony of Padua Church in Constanța. Photo: Christopher Adam. Our third stop took us to Romania’s most influential denomination. The Romanian Orthodox Cathedral of Saints Peter and Paul is not only the most imposing, but the Greco-Roman style 19th century building was buzzing with activity. Women washed and pealed flowers outside the entrance, the darkly lit, but remarkably ornate interior had people quietly standing in prayer and members of religious orders milled around. While the presence of Muslim, Roman Catholic and Romanian Orthodox communities within less than 500 metres from each other speaks to inter-religious harmony, there was one striking reminder of a troubled past. On a quiet side street stood the abandoned Great Synagogue. As nature reclaims the spiritual home of a once vibrant Jewish community, a sturdy tree and hardy weeds now dominate the crumbling sanctuary. 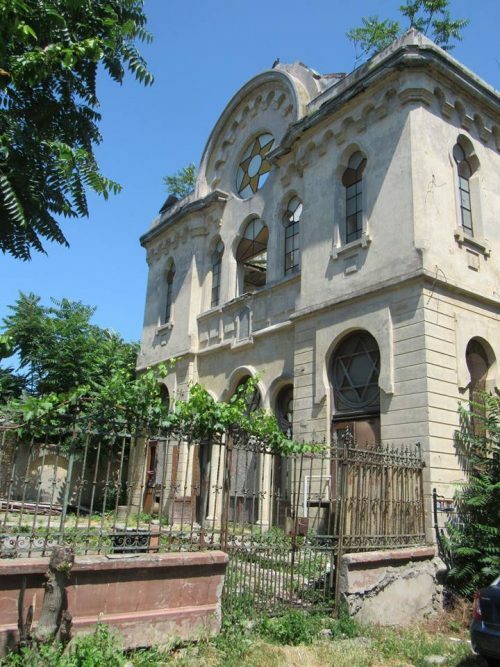 The abandoned synagogue in Constanța. Photo: Christopher Adam. 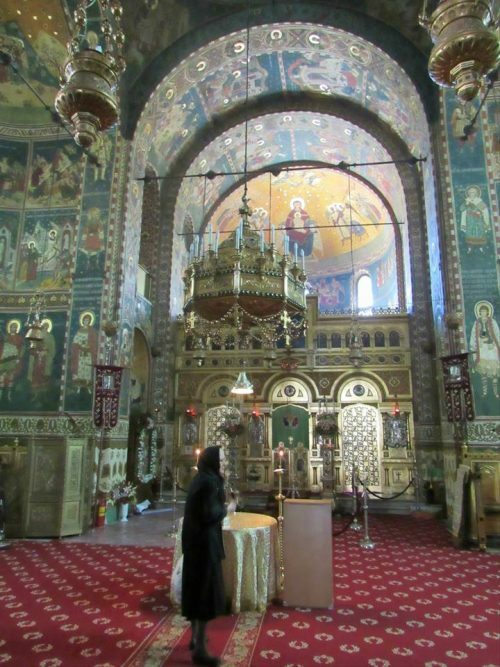 What ba beautiful story, and great pictures of well kept places of worship in Romania. Clear evidence that the Romania people can and do live in peace, no matter what their religion may be, and that is sure very varied. 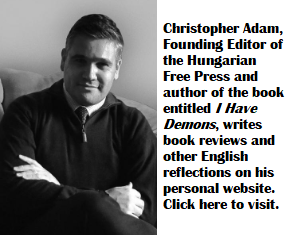 No wonder that there was an article on the KMH not long ago “What Hungarians could learn from Romanians”. Hungarians demonstrate clearly ,mainly on KMH, as well here on HFP that that is a NO NO for them. They just enjoy to fight, accuse and even hate (as many comments have proven) each others.